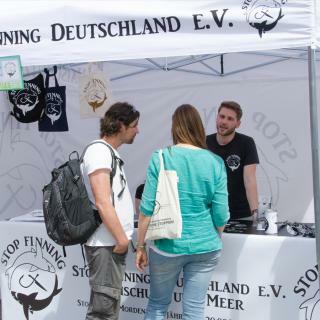 Stop Finning Germany is a movement of young people who have made it their mission to focus on the subject of shark protection in Germany. Most people in Germany think that the subject of shark protection is a problem of the Asian market. This is simply wrong, because even in Germany, unfortunately, more shark products are sold than most people think. Through Germany’s trade in shark products, the country passively promotes the killing of millions of sharks. Since 2014, the non-profit association "Stop Finning Deutschland" has been operating under the direction of Oliver Feist and Julian Engel. • Shark protection: protection of the biological class of cartilaginous fish. In this case, all direct and indirect influences that can harm the individuals of the respective species are combated. • Education: Consumer awareness is an important part of our work to protect sharks over the long term. Which products are available on the market and how do you recognize them? • Information: Public relations is one of the main tasks. 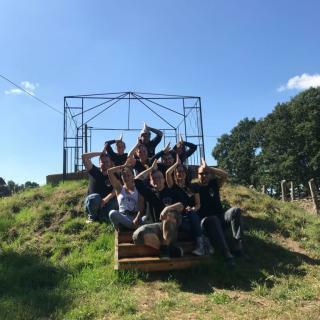 To give sharks a long-term lobby, school visits, lectures and cooperations are also important parts of our work. • Events: Direct contact with our supporters, but also with consumers, is very important to us. That is why we are at trade fairs, street parties and information events as often as possible. • School visits: Since children are our future and topics such as nature and species protection are increasingly being treated in the classroom, we enjoy going into schools, giving lectures and supporting project days. • Ecotourism: Between September 2017 and March 2018, we were in the Philippines, working on an independent concept for ethotourism as an alternative to finning. • Shark products: We collect all information on all shark products, publish them on an interactive map and seek direct contact with those responsible in order to remove these products from the German market in the long term. Oliver Feist is the President of Stop Finning Deutschland..
On request we can offer other net participants advice, give a presentation, and provide up-to-date information and contacts in the field of our work.